General Partner Wende Hutton is an industry pioneer. 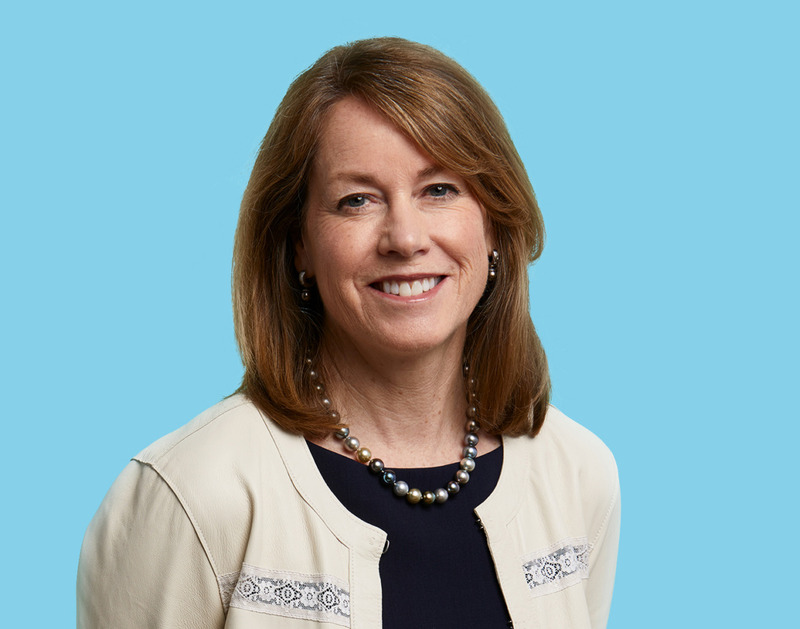 Partner Julie Grant chatted with Wende about today’s scientific renaissance, the importance of a team approach and the difference between active and activist investor. Julie: So much of your broad-based investment philosophy has shaped mine. Where did that philosophy come from? Wende: My interest in clinical medicine has always been at the core of what I do. In college I really loved human biology, specifically physiology, which maps to human medicine. When I started my career at Nellcor [now Medtronic] I wandered the halls of the hospital in scrubs moving from operating room to operating room, ICU to PACU, observing cases. I loved shadowing specialists – often anesthesiologists – and learning about clinical cases and clinical medicine. That experience gave me a real appreciation for the system of healthcare and the technology of healthcare. It’s awfully fun in our job to be a constant student of science, technology and potential new ways of delivering a therapeutic option to a patient. It’s that broader look and understanding that has allowed me to invest in different models of healthcare. One patient may have several different options to treat their disease: Drug therapies, surgical or medical device intervention, or, more recently, digital therapeutics. Julie: The expansion of therapeutic applications is both inspiring and provides many avenues for us to successful invest. You have invested across medtech, pharmaceutical and IT. What was the evolution from a medtech focus to biopharma like for you? Wende: I feel lucky I made that transition when I did because 90 percent of medtech investors are no longer in the industry! But, two big factors gave me the confidence to shift. First – Understanding investing is a team sport. I joined Canaan in 2004 as a medtech specialist but was nervous about the future of the medtech model. At Canaan I had colleagues who were specialists in drug development, like Peter Farina. We had a group diligence process that gave me a lot of confidence to walk through the door towards biopharma. It would have been very difficult to enter the biopharma space with brute force and outside experts. This really maps back to the way Canaan operates and how, culturally, we’ve evolved to have true drug expertise married with investment expertise. Second – At that point in my career I had a lot of investor confidence, so being able to map my investment skills into a new focus area wasn’t a totally new learning experience. I had also spent two years in operations at a biotech company and had made a couple biopharma investments at Mayfield Fund prior to Canaan, so I wasn’t a complete babe in the woods. I was able to stay current in the field. Julie: I see how deeply involved you’ve been with investments like Antiva Biosciences, Chrono Therapeutics and Glooko. You really roll up your sleeves with your companies. How do you know where to step in and where not to? Wende: I’ve always been a hands-on investor. In the first investment I ever made I was paired with the founders to pen their business plan and they then asked me to be their CEO. At that point I said no, there is someone better to recruit, and I helped them find Alan Levy for the CEO role – which they moved on. Alan drove great success at Heartstream. Julie: I didn’t know that background and history with Alan! Wende: That was the background! Sometimes it’s important for an investor to help put the pieces together. This has always been a core part of my career – being very hands-on to build the team, the strategy, and the early-stage approach. But, it’s extremely important to know when to step back and let the operating executives run their company. That’s a mistake I made early in my career, which can unfortunately be replicated later in your career. It’s never good to impose too much of your own thought process on executives instead of listening and understanding their strategic vision and innate capabilities because ultimately they run the company. And, if vision or capabilities are lacking, then perhaps you shouldn’t be backing them. It’s easy to impart advice, but at the end of the day, you, the investor, walk out the door. They, the leadership need to have the skills and capabilities to run their company. It’s a very fine line. Julie: What characteristics do you look for in a CEO? An all-around athlete or specialist? Wende: Both. One is not sufficient without the other. Given the complexity of biopharma specifically, it’s very hard to bet on a player who doesn’t have expertise and who hasn’t seen around the corner when it comes to drug development. On the other hand, at the end of the day, data is the only thing that will make a CEO successful. If they have a failed program, massaging the data isn’t going to make it better. Biology sometimes just doesn’t work. Julie: You’ve seen many cycles as well as some personal success and failure. How do you remain resilient and staying strong through the ups and downs? Wende: The VC business is a tough one, mainly because of its long feedback cycles. It’s not a short game – it’s a long-haul marathon. It’s very important to invest in opportunities where the outcome and the value drivers are meaningful. It’s that fundamental premise of bringing new therapies and new regimes to patients that brings resilience through the failures and successes. You’ve really got to be convinced that what you’re doing is going to make a difference and bring something of value to patients and clinicians. Julie: What advice would you give investors early in their career? Wende: Being successful isn’t a solo sport. The ability to build an investment thesis through a group dynamic, to problem-solve when our companies hit hurdles, is critical. A lot of people sometimes try to bring the ball down the field on their pride alone but that’s very difficult to do in this long-haul game. Julie: What are you most hopeful right now? What’s capturing your imagination? Wende: Two areas really make me hopeful. First – I believe we are in a scientific renaissance. I find the innovations with oncology and immunology therapies to be pretty extraordinary. When I was studying biology, we were learning about the first gene splicing, period. Period! Because it was just happening. Look how far we’ve come. I am very optimistic. Second – I am so hopeful watching women like you and Colleen [Cuffaro, Canaan Principal] come up through the business. It’s very satisfying for me to watch two incredibly competitive, intellectually gifted women with great business instincts. I see so many women changing the face of venture. That makes me optimistic. Julie: Well, it’s the most desirable, fulfilling on the planet, so thank you for opening the door. I attribute my chance at Canaan to you, so thank you.